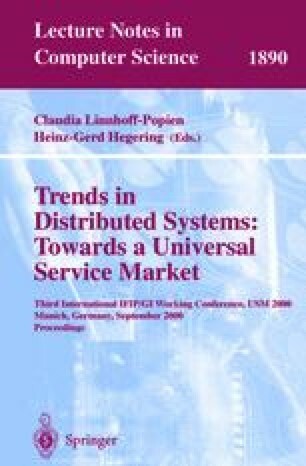 A dynamic and open service market should be characterised by the frequent appearance of new and diverse services. But in the internet environment, where a significant proportion of the functionality of new services is supported by Customer Premises Equipment (CPE), deployment can be an issue. How can such a diverse range of new services be easily deployed – particularly in a heterogeneous environment, like the internet, where different users have different terminal capabilities, and access bandwidths. This paper describes how the delivery, to the CPE device, of a recipe for dynamically building an application on the CPE device may be used to simplify the deployment of new services. In particular it shows how IBM’s Bean Mark Up Language, an XML-based scripting language for describing a configuration of JavaBeans, can be used.